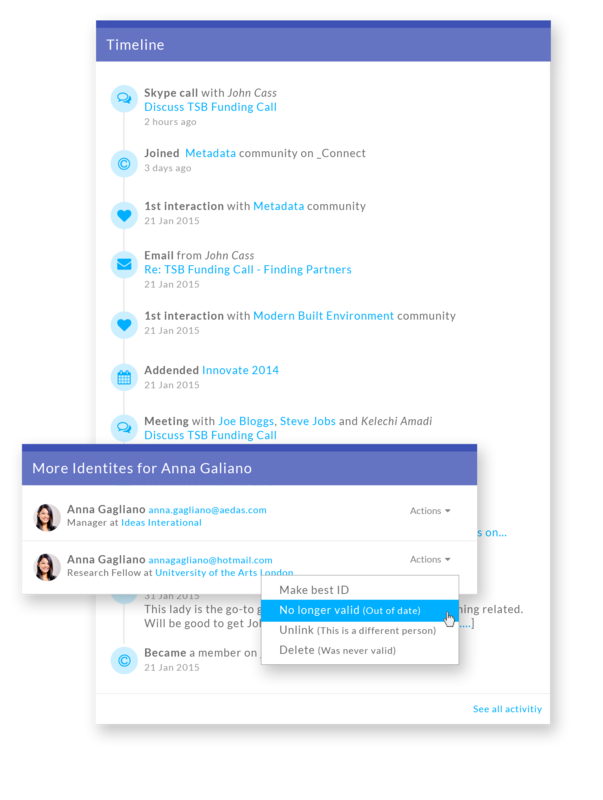 Zynapze is a CRM for networking organisations, alumni, charities & membership bodies. An intelligent system to manage information about people in your networks, and to drive personalised communications with them. Since it’s birth in 2011, Zynapze has helped helped organisations track information about people in their networks and deliver value into the network through intelligent communications. One instance of the system has 200 users and manages information on over 90,000 people, with well over half a million intelligent emails sent. See your biggest fans at a glance. Which contacts have not responded in a while? Which contacts are highly engaged? Engagement can be tracked as you can see what each individual said, what you said to them and if they are reading what you send them. 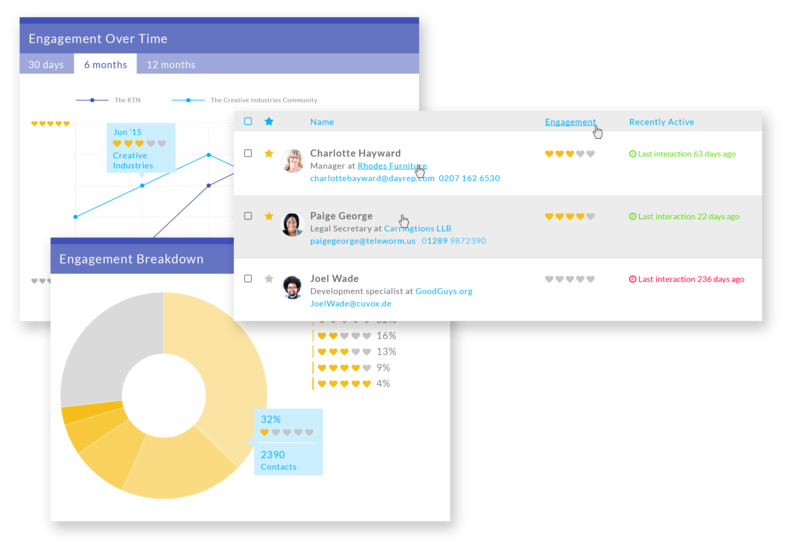 Zynapze relationship management power allows you to manage and track multiple relationships between individuals and organisations. See which staff member has interacted with a key contact. See how business or organisations are related with each other. Zynapze’s semantic graph database enables you not just see who is related to who, but the when, where and how of those connections. Enrich rather than write over. 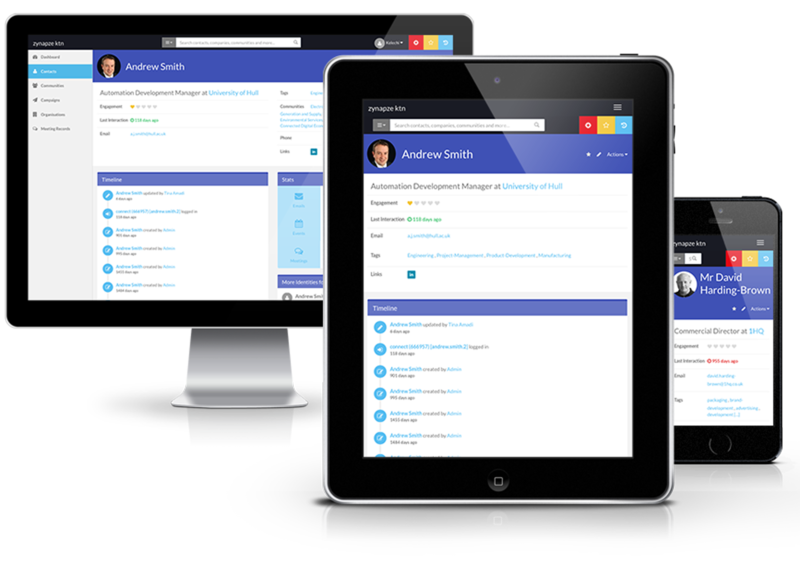 As your contacts move, change contact details and add new job titles, Zynapze creates additional ‘identities’ and keeps a timeline record of the contact history. Enrich rather than write over. Always have the up-to-date data on your contacts. Zynapze seamlessly syncs data from Linkedin, Facebook and your various databases, it handles duplicates and remembers data sources. Never have to update a spreadsheet again.